Introducing the elegantly beautiful silver fleet available now. Jan directing. Geoff and Dan walking either side and Dave driving the hearse. 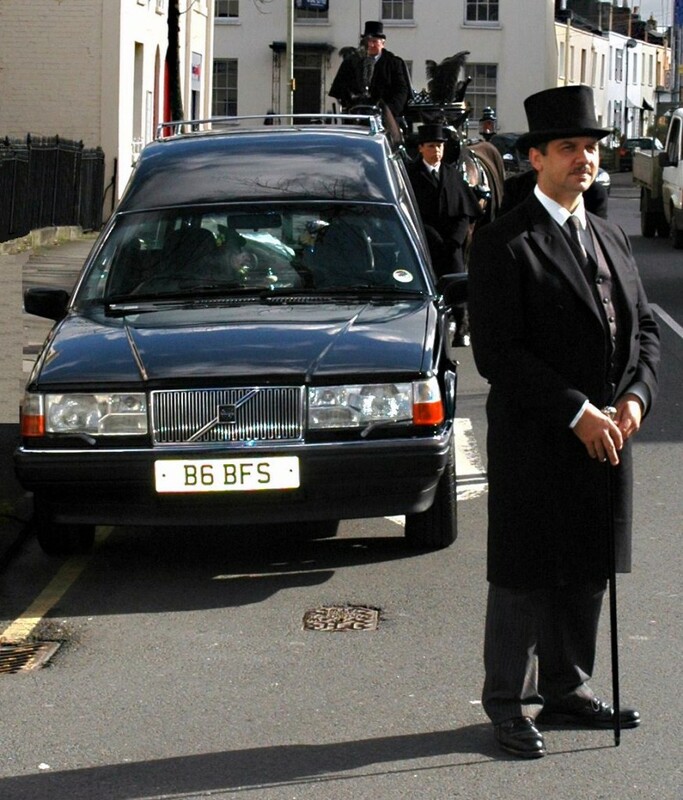 Beechwood Funeral Services Ltd is owned by Jan Tury and has two offices in Gloucester. Completely independent and family owned, the business started in 1993 and has grown extensively since then. Offering funeral services from the very basic to ex. service and military to the very large celebration of life that some people prefer. We are a 24 hour service operating over 365 days a year with a professional and trained staff always on hand to offer advice on all matters concerning death both at need and pre need. As a SAIF independent Funeral Director, we continue to make the decisions that affect the service you receive. We take personal pride in what we do. We know local traditions and have a long term commitment to the community. And we put people first. We believe service and compassion come first. We know that by serving you well today, we will be here to serve you tomorrow. So when you need the services of a funeral director and to be certain you are talking to an independent, family owned and managed business, look for the SAIF logo.